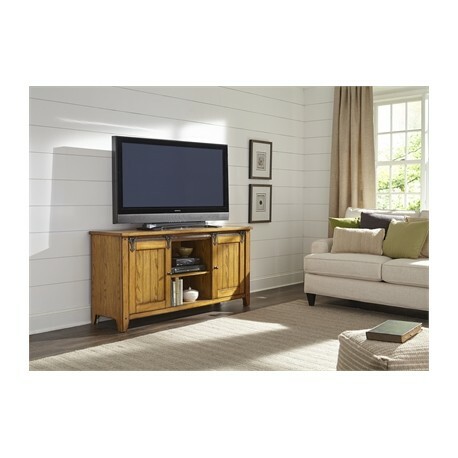 The Lake House Entertainment Console features a planked top with tapered legs and an adjustable shelf behind each sliding barn styled door. 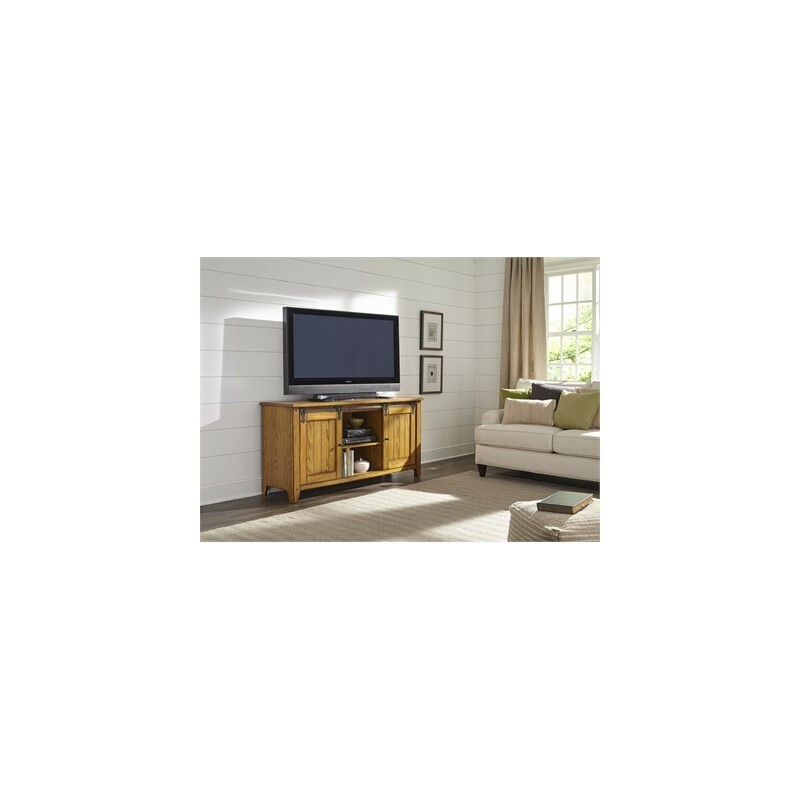 The console is constructed with select hardwoods and oak veneers with a Medium Oak finish. 60"w x 18"d x 30"h.